Sistership to the barque Queen's Island (1885). 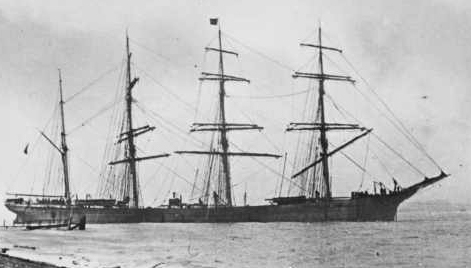 1890s Rerigged as a barque. 1900 Sold to Eischen & Miner, Victoria, BC, for £11.000. 1921 Laid up in Oakland Creek. 1925 Converted to a barge at Vancouver.